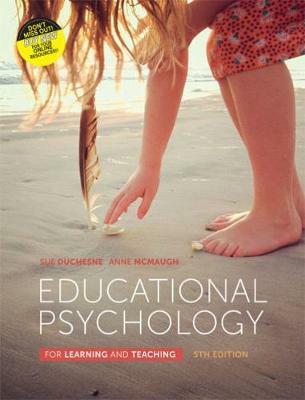 Educational Psychology for Learning and Teaching introduces key theories of development and learning to help you understand how learners learn and how educators can be more effective in their teaching practice. Featuring current research on the various dimensions of learning and teaching alongside traditional theories, it provides a clear framework of theory and evidence that supports modern educational practices. 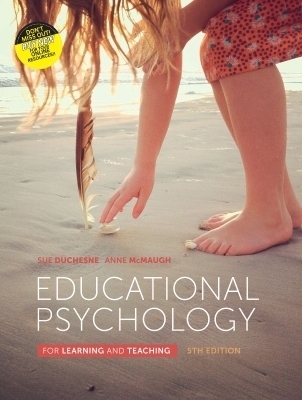 It investigates how to apply psychological principles to educational contexts in order to enhance learning and teaching quality, in particular the ways you can cater for individual student needs. This wholly Australia / NZ text caters for those who are planning to work with any age range from early childhood to adolescence and beyond. Throughout it explores the connections between theories and the many critical issues that face learners and educators today. It also helps you to see links with your own learning and teaching experiences and encourages you to develop your personal philosophy of learning and teaching.